Very important victory in Cagliari. With Lazio only picking up a point against Atalanta, Roma are now in pole position fon the third place, or at least fourth, good for a place in the Champions League, unless of some crazy twists. Roma will host Juventus next Sunday, then they will go to visit Sassuolo on the last day, a team already out of the relegation zone. Lazio and Inter will play for the another place in Champions League in a direct bloody clash on the last fixture. It will be important not to lose at the Olimpico with Juventus, who are only a point away to claim their 7th title in a row. A point would still be good, but better not to let the Bianconeri celebrate on our doorstep, so the aim is to beat them also to have the absolute certainty of third place in the standings. It wasn’t a simple win at the Sardinia Arena last night, the team looked a bit tired after the efforts in the Champions League and with various missing players with injuries, but there it was. Three vital points. We are convinced that this team can repeat itself next year at great levels, with the right props, targeted purchases. Make the most of the expensive talents we have at home, starting with Patrik Schick, which must be an added value next year. And not to think about giving up who is pivotal of this team, starting from Edin Dzeko, already sold in January. Most likely this team would have probably crumbled without him, both in the league and in the Champions League. Next year, it is therefore paramount to think of competing and Juventus and Napoli for the Scudetto and being able to do well in the Champions League. But also the Italian Cup. We were too silly to go out prematurely against Torino, mistakes not to be repeated, Roma must aspire to raise a trophy, and the Italian Cup must be one. Regret for the Champions League final remains, of course, but the path of Roma has been exciting anyway. 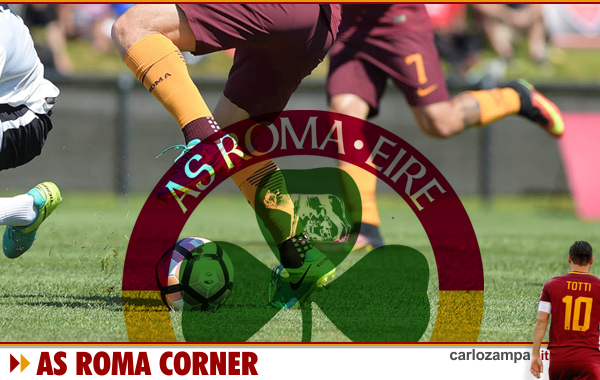 It was the first year for Di Francesco, and it was Schick’s first year. Many have failed in Rome the first year, remember the various Falcao, Voeller, Mexes, and also Dzeko. But many others have also failed even after waiting so long for them, see Iturbe. In short, we need a bit of balance.